(MAR. 21, 2019)—Following a month-long investigation—aided by a Judicial Watch Mar. 7, 2019 release of more stonewalled DOJ FOIA releases—the long held suspicions of many that British Privy Council intelligence, technology and banking interests are behind the attempted coup d’état of President Donald J. Trump can now be confirmed, in our minds anyway, beyond doubt. What moved our thinking from circumstantial evidence to fact? “Dinner with the Ohrs” —A secret Jun. 05, 2016 dinner meeting between Alison Sanders and her entourage at the home of Bruce and Nellie Ohr’s in McLean, VA on . She is a British barrister (lawyer) who at the time of the Ohr dinner was the Director of Public Prosecutions (DPP) for the Crown Prosecution Service (CCP). In short, she was the Queen’s top prosecutor. She held a roughly equivalent post to U.S. deputy attorney general Sally Yates—Bruce Ohr’s boss. On the surface, one might think that such contacts are not uncommon. After all, lawyers and law enforcement officials the world over compare notes. So what was different about this meeting? A closer look at Saunder’s past and her conflicting relationships shows that she was on a secret mission by her Privy Council handlers to stop Donald Trump. The “Why?” will become obvious as this evidence unfolds. The circumstances of “Dinner with the Ohrs” were suspicious on their face. At least six people dined at the Ohrs: Alison Saunders, her executive assistant, Helen Kershaw, Sue Patten and Patrick Steves, Bruce Ohr and Nellie Ohr. Saunders also had MI-6 security with her. We do not yet know who attended on the American side besides the Ohrs. What did Saunders bring with her to give to the Ohrs? McVities, tea, crumpets, money, non-traceable gems, documents, weapons, drugs, what? Both Saunders and Ohr were international organized crime experts, so they would certainly know the opportunities that such a secret meeting provided. It appears that they were engaging in their own organized crime this time. So, thanks to Judicial Watch, we have proof that American Bruce Ohr, one of the DOJ’s paymasters for Obama’s stay behind 10,000-man army innocuously named the Senior Executive Service (SES) Performance Review Board, is having a secret meeting with the Queen’s top Crown prosecutor. Hindsight being 20-20, we can now look back to the date of the Dinner with the Ohrs, Jun. 05, 2016, and then see that the Trump Tower meeting occurred just four days later on Jun. 09, 2016. Before we draw any conclusions regarding this suspicious timing, we need to review Alison Saunders’ background. If each of these names were to be researched and traced to the origin, one Harry Hoppman, the first U.N. representative and controller of the flow technology and arms, including ‘yellow cake’ through Alaska, whose purpose was to ‘balance’ the planned cold war between ‘Soviet Union’, ‘Communist China’, and ‘America’…with enormous profits for the same ‘globalists’. The same agenda, the same purpose, the same ‘British Crown’. The Americans for Innovation website is a treasure trove of indictable evidence for patriot researchers. Tyla Gabriel and Michael McKibben walk you through a brief video to show you how to access thousands of files of indictable evidence on the creatures from the D.C. swamp and around the world. Then try it yourself and see what you can find. Start your own Youtube channel to share your discoveries based on REAL evidence, not conspiracy theories. Make sure your Congresspeople, elected officials, and the White House know how to use this site…and don’t forget Bill Bar. They all need to know what citizens know…at the very least. Feb. 04, 2019—Judge Amy Berman Jackson has been assigned to most, if not all, of the Mueller prosecutions. Canon 2 of the Code of Judicial Conduct requires judges to recuse if their involvement raises even the appearance of impropriety. Judge Amy Berman Jackson holds direct financial interests in at least two institutions who are notoriously-known donors to The Clinton Foundation (four Fidelity funds and two Capital one funds). This is actual impropriety requiring recusal. Judge Amy Berman Jackson concealed about 85 holdings in corporate stocks in 2009 by shifting them into 44 mutual funds that hold those (and more Clintonistas) stocks in 2012. While she may have relied upon the highly dubious “safe harbor” “concept” (it is not a rule, policy or procedure, and certainly is not law since Mar. 14, 2001—yet the judicial community enthusiastically embraces it as gospel—it is described merely as a “concept”) to conceal secret holdings of corporate stocks behind a paper thin mutual fund veil, once those stock holdings are discovered, she has an ethical duty to account for this appearance of impropriety surrounding her concealment. She has been silent. Much worse is the fact that approximately 43% of the corporate stock holdings of the “top ten” largest stocks in the portfolios of her 2012 mutual funds are notoriously known donors to The Clinton Foundation and its 35 related entities. From a strictly financial view, Judge Amy Berman Jackson’s 44 institutional holdings (2012) are “friends of Hillary and Bill Clinton” with an obvious interest in Mueller Special Counsel outcomes that are favorable to Hillary—and therefore to Hillary’s Clinton Foundation donors in whom Jackson is invested. From an ethical and moral point of view, Judge Amy Berman Jackson’s ethical duties are crystal clear. She must recuse herself immediately, along with Mueller’s equally conflicted special prosecutor, Jeannie S. Rhee. RIGGED JUSTICE: Mueller, the prosecutor, should not be allowed to pick the judges over his cases, as he has done by picking Judge Amy B. Jackson! A judge and prosecutor must be assigned who are without biases. Only then can the defendants have any hope of a fair proceeding. The Code of Conduct for Federal Judges is meaningless if Judge Amy Berman Jackson—with such egregious Clinton Foundation conflicts of interest—does not recuse herself immediately. Full Judge Amy B. Jackson financial analysis (2012). Betsy and Thomas of the American Intelligence Media review an email from a source claiming to be a Vatican insider who explains how Robert Mueller, Joseph Mifsud, and Stephan Roh are all Knights of Malta agents working to overthrow Donald J. Trump. Yes, we are telling you that globalist factions world-wide have been trying to take out the President of the United States. In this audio we explain how the British, Vatican, and Russians are all connected in an international crime of all time. This story is TOO BIG for the movies. As the ‘Boss’ reminds us, look at what is REAL. Turn away from fake news. Look at the REAL in reality. We have been following your work since the original Anonymous Patriot articles on Before Its News and have been pleased by the depth of your research and the bold reports you have written. Your recent “leak” from the Mueller team has spurred us on to offer you another piece to the puzzle. Some of what we have to tell you must be in a code of sorts because we work for members of the Knights of Malta and, as you know, they are the most powerful secret insider group on the planet and they do not hesitate to eliminate enemies, especially from within their own ranks. Also, as you have revealed in your intelligence reports, the Knights of Malta are controlled by the Pope and the Queen of England takes a vow of fealty to the Head of the Knights of Malta who takes a vow to the Pope. It is commonly known that the most powerful people in the world are members of the Knights of Malta. But what people don’t know is that the Knights of Malta have their own intelligence agency, separate from the Jesuits, comprised of secular agents who are usually rogue intelligence agency operatives from many countries. These agents are not full members of the KoM but take their orders directly from the Vatican. Under the guise of a charity the Knights of Malta commit the most heinous crimes imaginable. I am sure none of this so far is big news to you. But the following should be. Link Campus University in Rome is a rogue intelligence training facility for the Vatican and Italian intelligence. They train and place agents and lawyers throughout countries around the world. Acting as “students” of international law and counter-terrorism, EN and Link Campass University students are a network of Vatican controlled spies working under the guise of helpful lawyers and law students. Arvinder Sambei, Senior British Crown Prosecutor (former British counsel working with Mueller on 911 cases) and member of the London Center for International Law Practice and the Global Center on Cooperative Security – both organizations that Mifsud and Roh work through. Zainab Ahmad, former US Federal Prosecutor for the Eastern District of New York, and member of the Global Center on Cooperative Security. Ahmad was one of the first people, along with Andrew Weissman (another Mueller special counsel member) to see the Christopher Steele Fake Dossier of Trump/Russian collusion. The real Russian spies were Stephan Roh, his wife, Ivan Tinofeev, and the many others Aim4Truth have pointed out, Sater, Millian, Derispaska, Halper and the rest of British intelligence including Hannigan, Dearlove, Wood, Downer, etc. Joseph Mifsud was a Vatican spy running the latest intelligence training facility out of Rome through the direction of the Knights of Malta at the Link Campass University – owned by Stepan Roh. It is highly likely that Joseph is dead. Killed by one of the many factions he tried to balance but got out of hand. His Vatican “immunity” was stretched too far and he had compromise the Knights of Malta with his attempted “frame up” of George Papadopoulous. Thomas has been very close to saying these things but we thought he something more substantive to confirm this information from a direct source. As a Roman Catholic priest working for the Knights of Malta, I can tell you frankly that the Papal See wants Donald Trump taken out of office. His ideas are destroying the economic backbone of Vatican – refugees and open borders. The desperation these powerful people feel is unprecedented and they simple want Trump gone and will stop at nothing. That is why Mifsud and others made so made gross errors of judgment throughout these botched operations. Thank you for all you are doing to bring hope in these apocalyptic times. Don’t ever stop bringing the truth to light – you and your teams do a great job. Just thought we would do what you say all the time – “be a white-hat and whistle-blow.” That is what we are doing. Hope it helps the research. Let’s get busy, patriots. Time to educate and enlighten your circle of influence about these traitors and international conspirators who attempted to overthrow Donald J. Trump. This is truth history. The time has come. Here is our grassroots action plan and some memes to get the conversation going in your circle of influence. 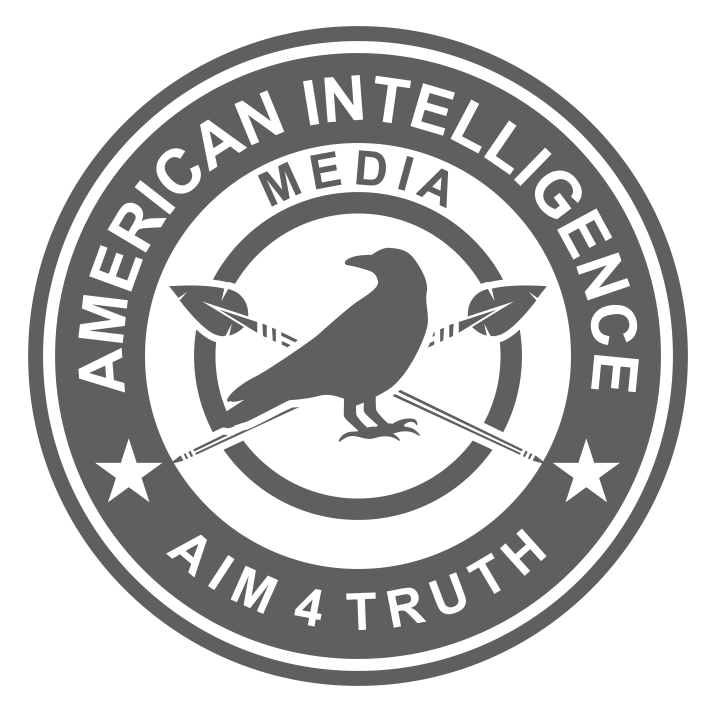 Patriots keep asking the American Intelligence Media to organize something..so here is our attempt. Let’s use the next few months to build momentum at a local level. Wear the safety vest color of your choice. The French had yellow vests in their cars, as mandated by government overreach, and were handy to use at the first protests. American hunters (i.e. patriots with guns) prefer orange vests. Either color works. We want to start at a local and/or state level. Let’s get protests going all around the country and build our momentum before heading to the national capitol. All countries are invited to participate in this WILDFIRE GRASSROOTS MOVEMENT. The list of demands are extensive – from arresting Hillary Clinton and George Soros to stopping all U. S. funding of the UN, OPIC, USAID, NATO. We want fair elections with paper ballots and a bi-partisan chain of command. We want the DOJ to start prosecuting major swamp creatures – like Hillary and Bill Clinton, John Brennan, James Clapper, Barack Obama, Susan Rice, Andrew McCabe, Peter Strzok, Valerie Jarrett, Christopher Steele, Stefan Halper, John and Tony Podesta, the Bushes. Let’s support our European brothers and sisters. The people of the world are sick and tired of criminals running the planet. In the beginning, there may only be a few of us, but keep the momentum going by making the weekly Saturday event fun and informative. Eventually, the b.s. media will have to report on our growing movement, especially as we gain traction over the next few months. By the spring, we will be strong and well organized. It will be our PATRIOT SPRING to usher in peace and prosperity of many, separate, distinct, and beautiful sovereign nations of the Earth. Send us your photos and videos from your events so that we can share our progress. Decentralization and Freedom Understand what our movement is about and what we oppose. We want decentralization of everything. We oppose a ONE WORLD ORDER and support a planet of free, independent, and peaceful NATION STATES. In America, we demand the dismantling of Washington D.C. with a return to states rights. We demand the end of the FEDERAL RESERVE. The banksters can default on their debt as it is owed by the rich, elite, globalists to themselves. The people of the world REJECT odious debt, and this time when the markets collapse, the people will be bailing out themselves, not the politicians and banksters. These vests are “all occasion” so you don’t have to limit this fashion accessory to Saturday afternoons. Enjoy wearing them any time, any day. Many are one size fits all! Douglas Gabriel of the American Intelligence Media talks with Michael Thomas, editor of State of the Nation and other independent news publications, who gives patriots a huge wake up call about the firestorms in California. We need all patriots AWAKE. After you watch the video, please continue your education from the links below. Then pass it along to those in your circle of influence, including your elected representatives – all the way up to the White House. This affects all nations of the planet. The Globalists are at war with the nation states. Continue your citizen education with these blockbuster reports from Michael Thomas’ team. Wonder if the “PG&E power line incident” combined with “PG&E smart meters” were responsible. Smart Meter Fires. CA Fires? Something Similar About These Fires. Why aren’t we seeing this reported on ABC-CBS-NBC-NYT-WaPO? Why isn’t Fake FOX news reporting on these connections and showing their relationship to the invading caravan? Where is independent and alternative media on reporting these globalist criminal thugs and their invasion of America? We have provided mountains of indictable evidence over the year to show you their criminal intent to take over the world and put YOU in a digital prison. Someone needs to start arresting these old-farts and begin live-streaming their tribunals over the “re-educated” CNN channel. Here’s what we have in the Malloch-Brown Bio Timeline on International Crisis Group. Lord Mark Malloch-Brown. (Jun. 04, 2018). Biography & Timeline. Americans for Innovation. (Raw *.xlsx spreadsheet). ICG. (Jun. 30, 2017). International Crisis Group, incl. Lord Mark Malloch-Brown (Founder Jan. 1993), George Soros, Alexander Soros, Carnegie Endowment for International Peace, Frank Giustra, Wesley Clark, Larry Summers, USAID, US State Department, Bill Clinton, George H.W. Bush, Open Society Foundation/Initiative. ICG. Here’s a who’s-who of enemies of the United States. Why aren’t we seeing these people arrested, detained, and tried for their crimes against America? Why aren’t the entities listed being sanctioned and their accounts frozen? Why haven’t we stopped all USAID and other U.S. funding to each and every NGO on this list? Let’s see how well you are doing in playing “connect the dots”. This list of board members for the International Crisis Group is sent to us by A4T Joseph. Find all the names you know from reading Truth News Headlines. Then find two names of people you don’t know and do some internet research on them. Take the names you know and the 2 you just learned about and explain to your circle of influence how they are connected. How would their expertise be used in an “international crisis group” organization? Are these individuals globalists or nationalists? The information below is for intelligence white hats, independent media creators, and WOKE citizens of the planet. Please use our research to inform your audiences. These leads will show you the trail from Facebook to the Queen. Send us your final articles, videos, memes, etc. for posting on Truth News Headlines. Sir Nick Clegg, former UK deputy prime minister and Liberal Democrat leader (2007-2015) joins Facebook as its head of global policy and communications. Is this Zuckerberg and Sandberg working with a foreign agent to rig elections, change algorithms, remove conservative sites, or just outright overthrow the President of the United States? The Lib Dems have more than 100 representatives in the House of Lords despite their limited electoral success. Clegg was born in Chalfont St Giles, Buckinghamshire, the third of four children of Hermance van den Wall Bake and Nicholas Peter Clegg CBE, chairman of United Trust Bank and a former trustee of the Daiwa Anglo-Japanese Foundation (where Ken Clarke was an adviser). It has been alleged that Clegg joined the Cambridge University Conservative Association between 1986 and 1987. Clegg has maintained he has “no recollection of that whatsoever”. However, Conservative MP Greg Hands has a record of CUCA members for 1986–1987, and Clegg’s name appears on the list. Hands noted that “for the avoidance of any doubt, there was only one ‘N Clegg’ at Robinson College … [he] is listed in the ‘Robinson College Record’, under ‘Freshmen 1986’. He graduated with an upper second class honours (2:1) degree in social anthropology. After university, he was awarded a scholarship to study for a year at the University of Minnesota, where he wrote a thesis on the political philosophy of the Deep Green movement. He then moved to New York City, where he worked as an intern under Christopher Hitchens at The Nation, a progressive liberal magazine, where he fact-checked Hitchens’s articles. Clegg next moved to Brussels, where he worked alongside Guy Spier for six months as a trainee in the G24 co-ordination unit which delivered aid to the countries of the former Soviet Union. After the internship he studied for a master’s degree at the College of Europe in Bruges, a university for European studies in Belgium, where he met his wife, Miriam González Durántez, a lawyer and the daughter of a Spanish senator. Nick Clegg is an alumnus of the “Mozart Promotion” (1991–92) of the College of Europe. The charity only had 100K UKP in donations as compared to a stellar top heavy board. The lack of funding activity would indicate this charity has been formed for some purpose other than the stated think tank. Nicholas William Peter CLEGG. (Oct. 22, 2018). Biography. Wikipedia. This is an active shell company. Richard John Reed is Sir Nick’s OPEN REASON conduit into dark finance and worse. Lord Rumi VERJEE is a Sir Nick Clegg director in OPEN REASON too. Did we trigger Sir Nick CLEGG’s award of a knighthood, then appointment as Facebook VP? Are Sheryl Sandberg and Mark Zuckerberg running to the Queen for cover? Hey Nicky, Sheryl and Mark have a lot to hide. Make sure you do what you are told. The Privy Council demands it.